Navosa slugger Abhay Chand wants to fight Sebastian Singh before quitting boxing. 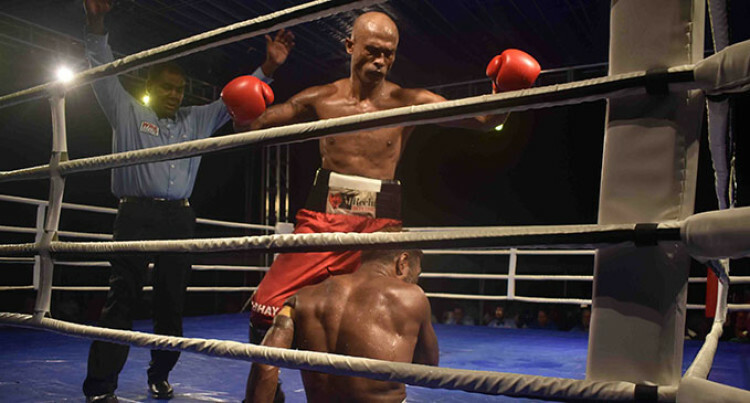 Chand defeated Nereo Cakautini by technical knockout in the second round at Prince Charles Park, Nadi on Saturday. The Draiba Boxing Club boxer decked Cakautini three times before referee Joeli Sauqaqa stopped the fight scheduled for eight rounds. “Nereo is no match for me and he should retire and become a coach, referee or judge. “I also want to retire but I can’t since I want to fight Sebastian Singh,”Chand said. Other results: Tomu Gaunavou defeated Tevita Sete of Savusavu on points, Rahul Aaron Kumar TKO2 Sheik Rizwan, Petero Qica TKO 3 Isikeli Navuni, Filimoni Naliva beat Serupepeli Vuniyayawa on points, Joseva Ravudi won by points over Isikeli Senidoko, Rupeni Rasaku lost on points to Semisoni Hanimo, Apisai Naciqa won on points over Matereti Canavanua, Virisila Kolitapa defeated Katrina Singh on points.